1. Difference between the terms climate and weather. 2. The earths surface is made up of moving plates called tectonic plates and how they interact. 5. 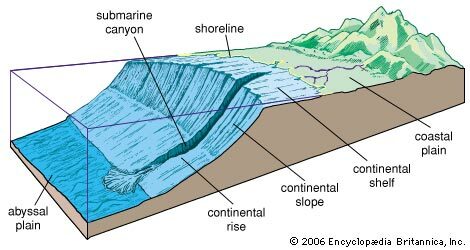 Know the following terms: submarine canyon, turbidity current, seamount, tectonic processes, abyssal plain, subduction, plankton, thermocline, heat capacity and tsunami. 6. Know the diagram of the ocean margin you will have to match the terms and fill in the diagram. when two ocean plates pull apart and magma comes up. 9.Three factors that affect the movement of water.